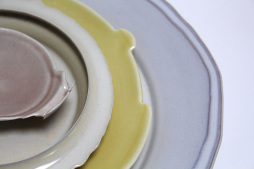 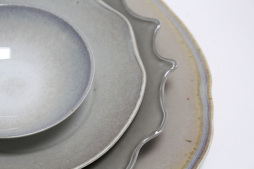 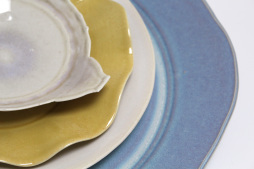 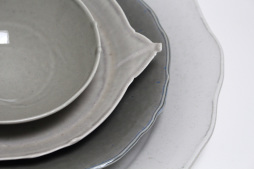 Anne Tophøj is a Danish ceramic artist who works conceptually with dinnerware. 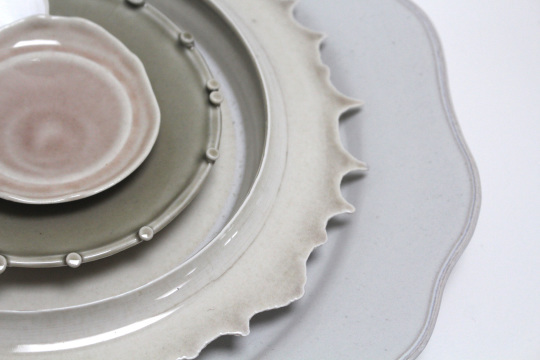 She is a trained designer from the Royal Danish Academy of Art in Copenhagen and has a MID from Pratt Institute, New York. 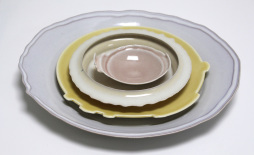 She has been the personal assistant to the American designer Eva Zeisel in New York. 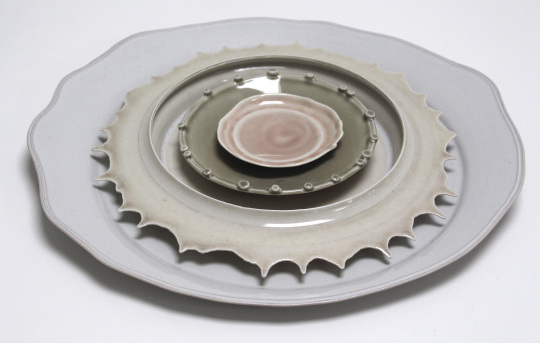 Her work consists primarily of the basic study of ceramics shaping and the ceramic materials artistic possibilities. 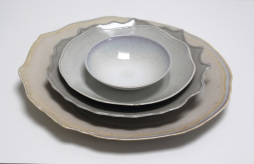 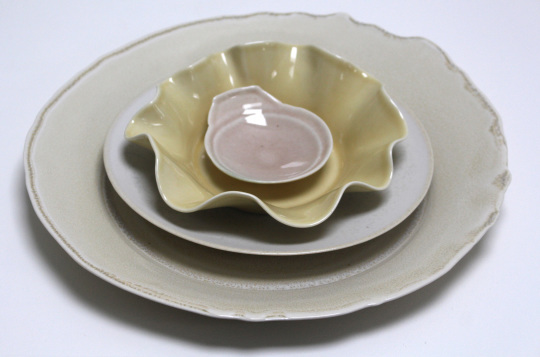 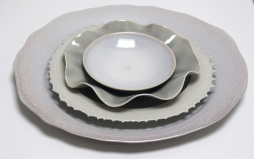 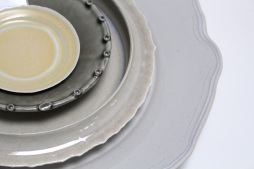 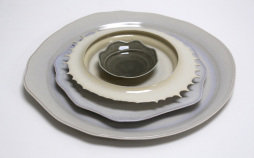 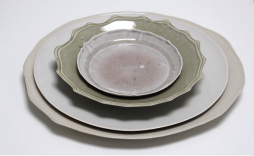 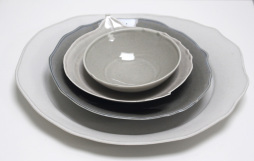 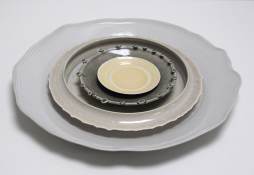 Anne has supplied dinnerware for exclusive Danish restaurants and the Danish Embassy in Washington. 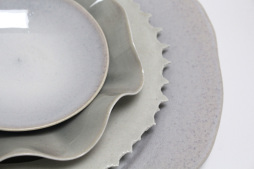 She is represented at the Designmuseum Denmark. 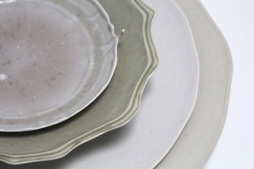 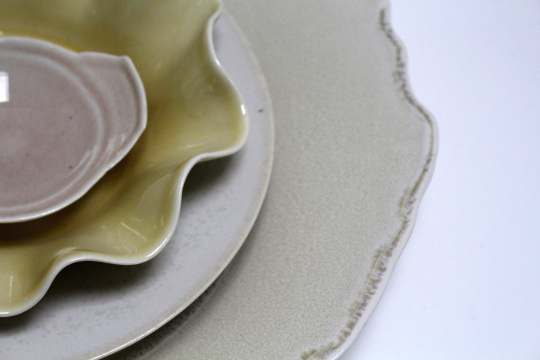 The Dinnerware, each consisting of 2 sets // 4 parts are handmade in porcelain on the artist's own workshop in Copenhagen. 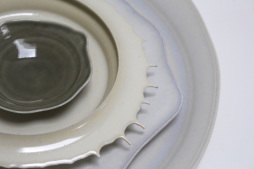 Each part is unique and she uses various techniques to create the individual forms. 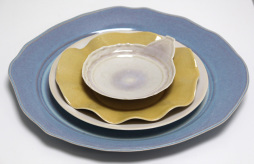 The glazes are developed by the artist.